In addition to running The Media Project, Holly Jean enjoys expanding her story telling skills through her work as a freelance writer. 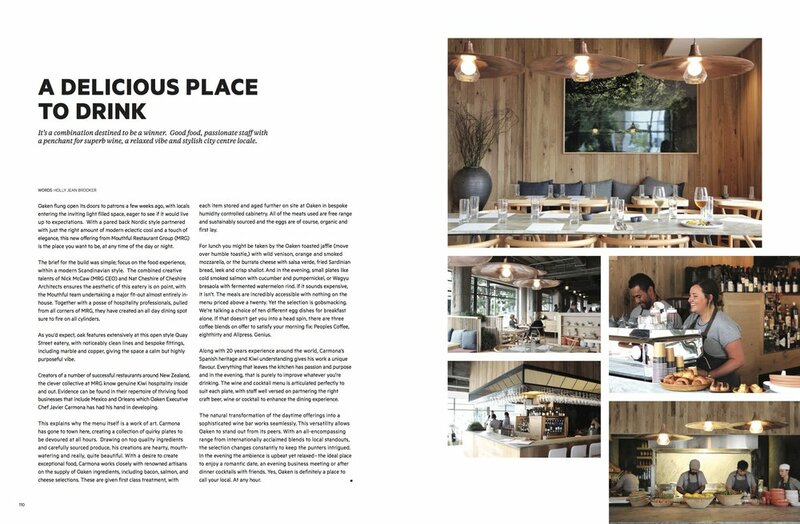 She has written for a number of NZ magazine and print publications including Nadia Magazine, Homestyle Magazine, Renovate Magazine, Britomart Magazine, Gather Magazine. She is a regular columnist for Renovate Magazine on the topic of design inspiration. Friends and colleagues Toni Brandso and Olivia Patience have recently put their ideas into practice at their own places. A world away from the city, a family has created a sustainable, sun-filled sanctuary they’ve blueprinted to share. 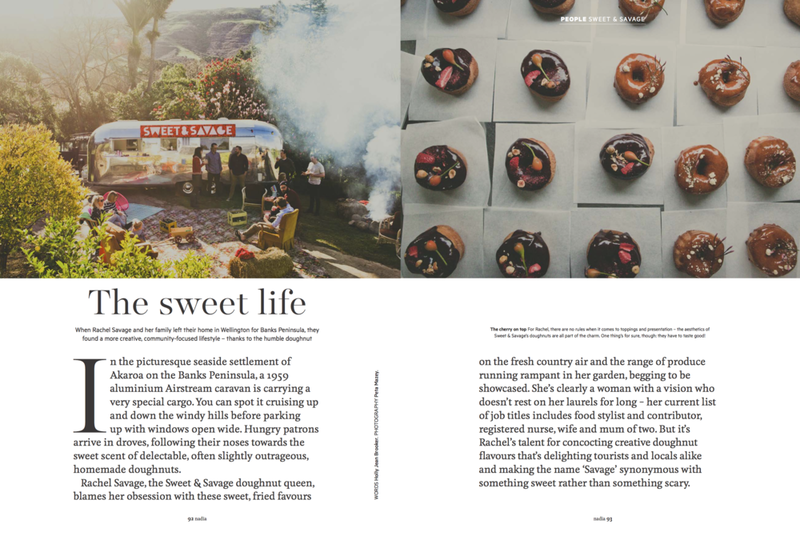 Sweet & Savage are serving freshly baked doughnuts from a '59 airstream caravan in Banks Peninsula and the sweet treats are selling like wild fire. Inspo for the school holidays to keep the gang occupied, interested and inspired. 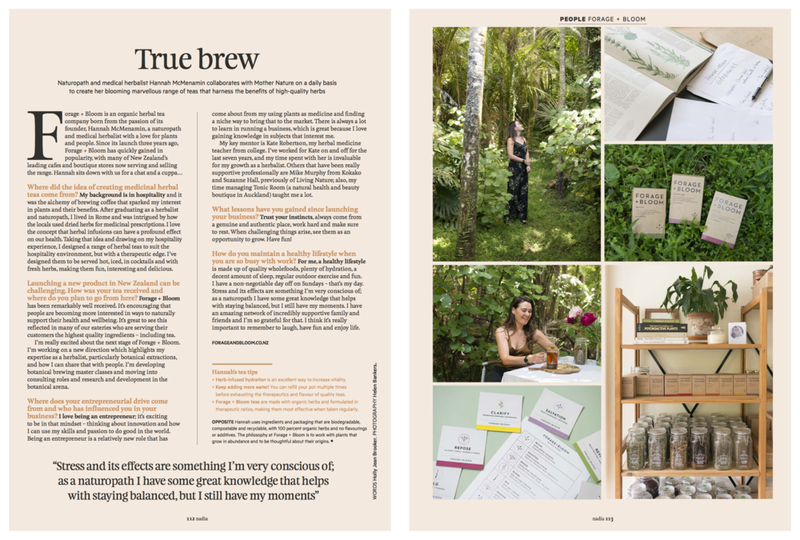 Naturopath and medical herbalist, Hannah McMenamin collaborates with Mother Nature on a daily basis to create her blooming marvellous range of teas that harness the benefits of high-qaulity herbs. A stunning home at Mount Maunganui, styled by the owners of clothing brand, Lower, Stacey and Jake Pyne. Merging their eclectic mix of vintage and contemporary finds over the years. 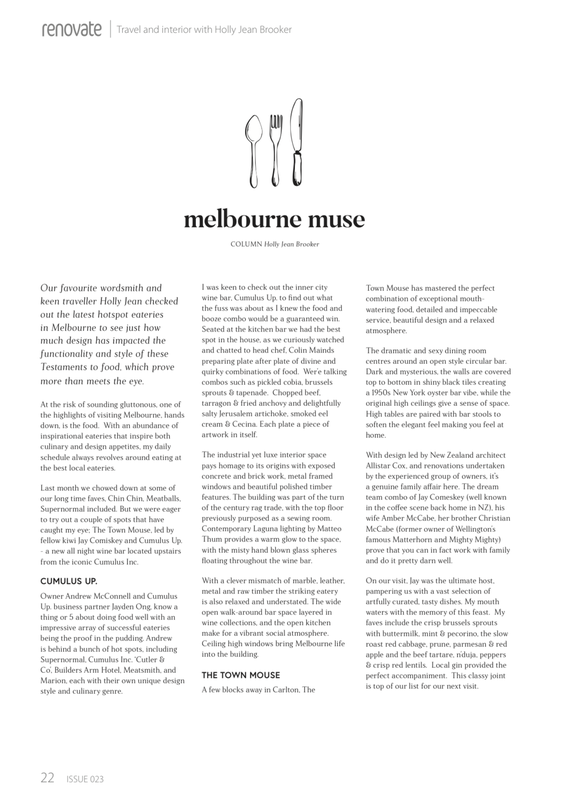 Holly's Design & Travel Column covers epic eateries in Melbourne city. A contemporary but respectful renovation on a mid-century abode in Titirangi by Marianne and Sean Falconer. An introduction to Holly's Design & Travel Column. A new eatery opens up in Britomart, Auckland city. Featuring the Gill Family, who renovated a sprawling run-down villa in Coatesville with a quirky French country meets industrial style. 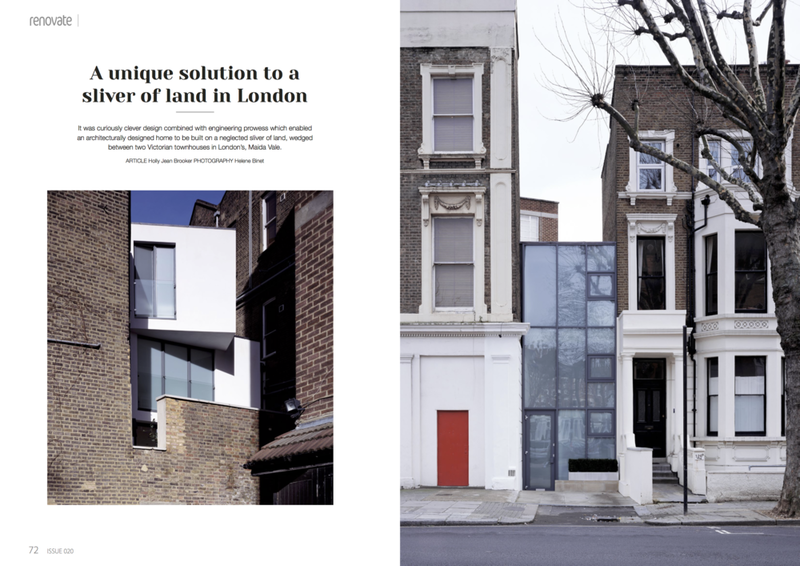 It was curiously clever design combined with engineering prowess which enabled an architecturally designed home to be built on a neglected sliver of land, wedged between two Victorian townhouses in London's, Maida Vale. Interior advice column about how to bring more light into terraced homes. Creating an upcycled, urban garden has provided all kinds of rewards for this Auckland couple, Dave and Phoebe Atkinson. Think outside the box when planning your next holiday. We all want our children to be safe and sound, and healthy. 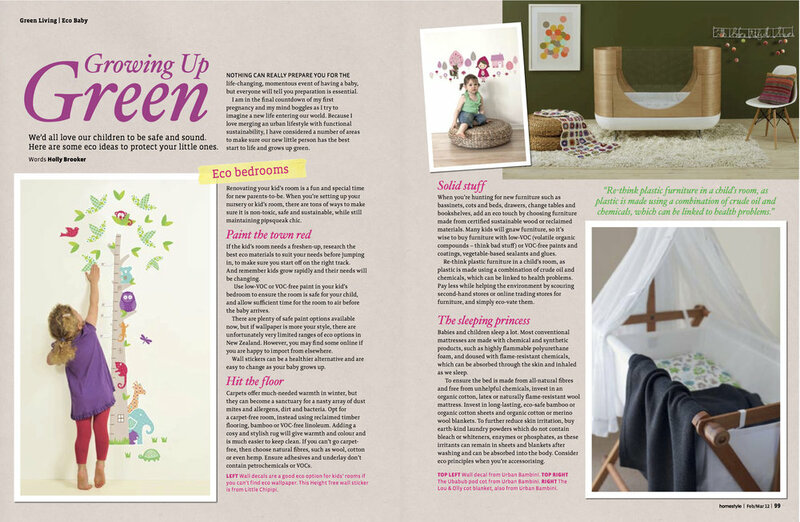 Here are some tips when decorating your babies bedroom to keep them safe. The Harpers home is all about sharing and caring. Family and friends are everything and the interior reflects this concept of agape love in every room.